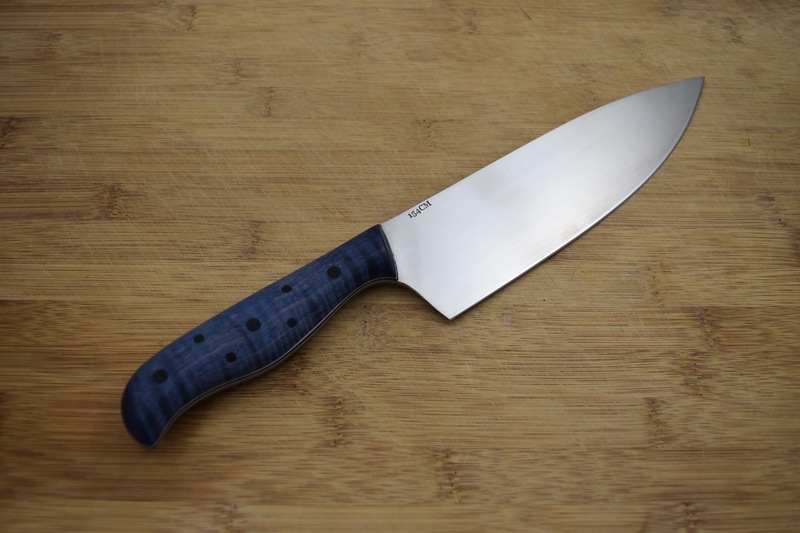 This 8″ chef’s knife has a hand sanded finished. 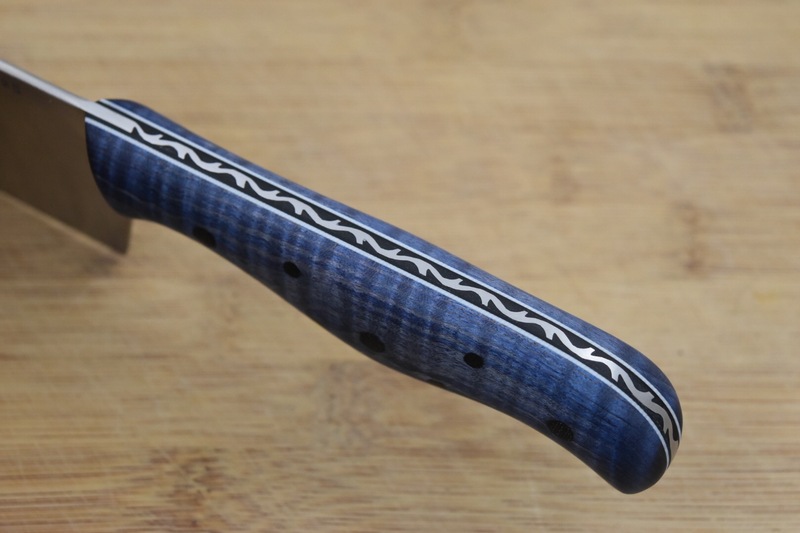 The handle is a stabilized dyed blue curly maple with black and white G10 liners. 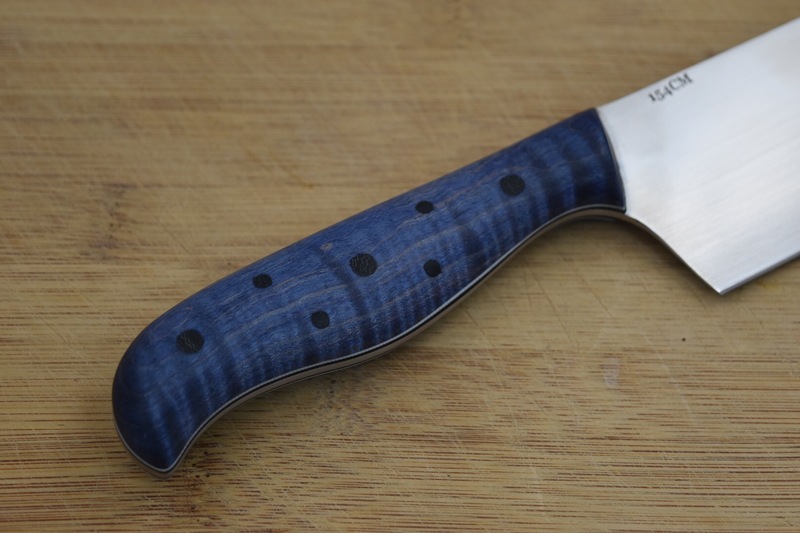 The handle also has thorn filework that helps create a wonderful custom look. 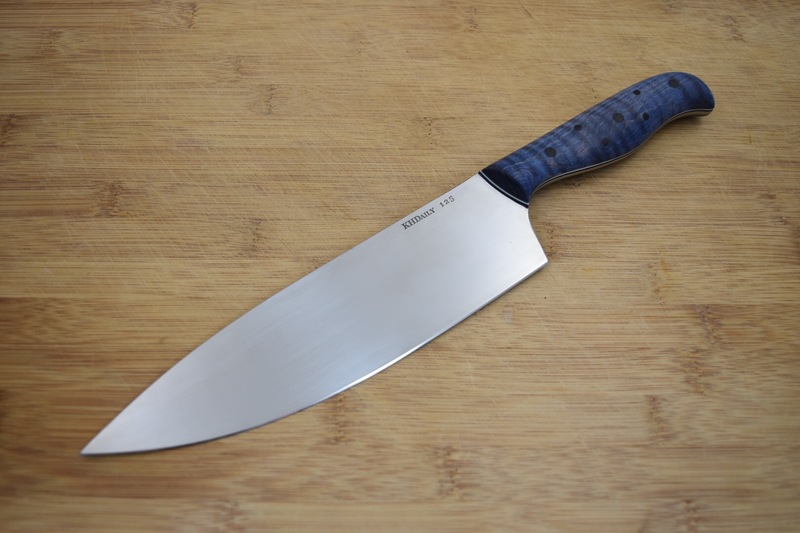 The chef’s knife is a western style all-purpose knife. Most professional chefs say they can do 90% of kitchen tasks with this style of knife. 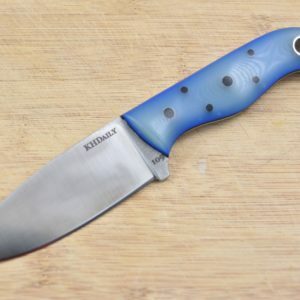 It has a pointed tip for cutting joints and finer detail work. 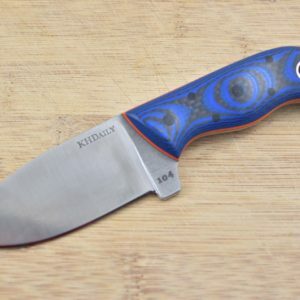 This knife uses more of a rocking motion for cutting and chopping. 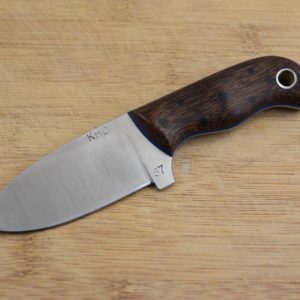 This knife has a flat section at the rear of the blade that can be used in a chopping motion and a curved section that comes to a point. 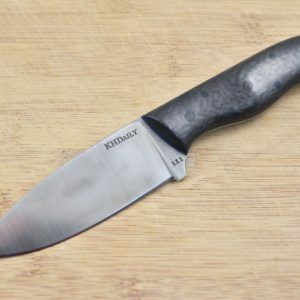 This is one of my favorite go to knives when I need to cut up a variety of different things at one time.